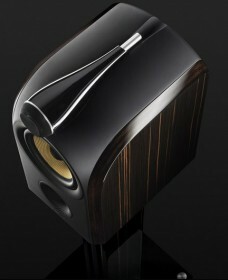 B&W has very recently released a new high end mini monitor called PM1. The PM-series is placed in between the mid class CM-series and the flagship Diamond 800-series and will for now only feature this single mini monitor model. At writing time we don’t know if or when there will be a floor standing PM-model, but with the XT-series discontinued I am guessing there will be. The B&W PM1 is 2-way mini monitor with a 5-inch Kevlar mid/bass driver and a 1-inch aluminum dome tweeter which is housed in the same top mounted nautilus tube as used in the 800-series. Except for the actual Nautilus tube the tweeter has nothing in common with the expensive Diamond tweeters in the 800-series but resembles more of the tweeter in the middle class CM-series. The 5-inch mid/bass driver is apparently the same as used in the CM1 model*. The cabinet is built around the Matrix bracing system and the front baffle and the top is molded in one piece from some sort of plastic composite. The build quality is amazing but personally I am not very fund of the design on these. The B&W PM1 retails for around €2.000 and Bowers & Wilkins themselves tell us that we should think of PM1 as a smaller version of the discontinued 805S. I had the opportunity to audition the PM1 in a good listening room together with the massive Denon PMA-2010AE integrated amplifier. The PM1 have a wide and convincing soundstage and handle bass surprisingly well for its size. There’s not much deep bass to talk about, but the low-mid is accurate and powerful. The treble is detailed and the midrange is smooth and open, delivering the music with a very pleasant and somewhat warm character. 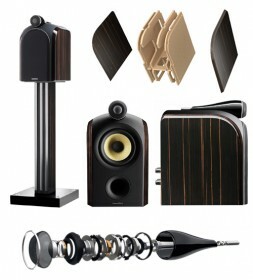 Bowers & Wilkins compare PM1 with the 805S monitors but personally I think they sound much more like the CM1 model. The PM1 are great speakers, but with the price tag at €2.000 and the fact that they perform and sound only slightly better than the CM1 which retails for €700, I would probably choose the CM1 instead. But if you really want that last extra little micro step up from the CM1 or really love the design and have no problem with the €2.000, then I definitely recommend the PM1. * Correction: I have been enlightened with the fact that the 5-inch driver in PM1 is not at all the same driver as used in CM1. The PM1 driver has apparently undergone several improvements during the development of the PM1. ← Marshall Major Headphones, what is major about them? If your review is correct, B&W is just a robber.